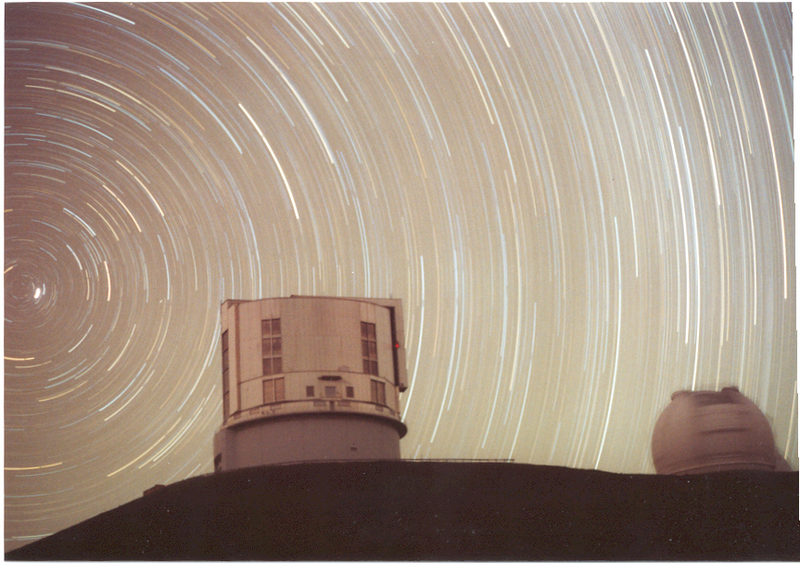 John Davies Picture Gallery: Startrails, Mauna Kea. 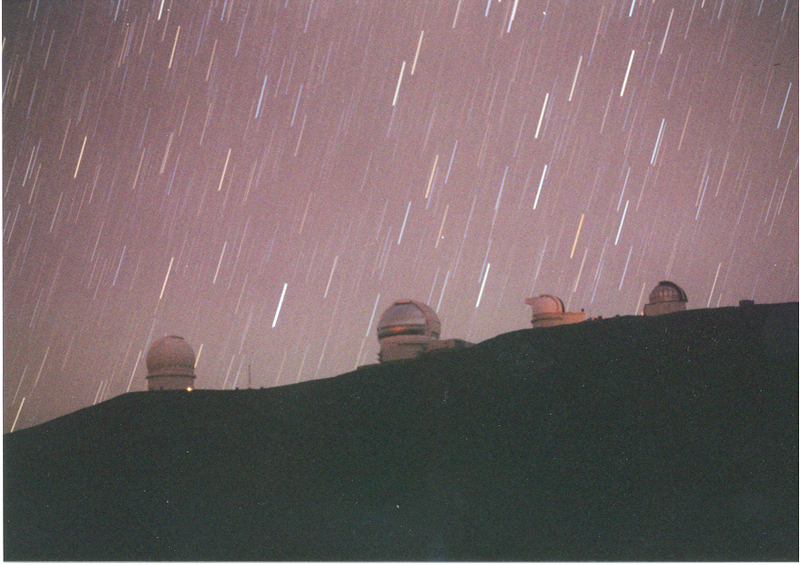 Here are a few pictures of star trials on Mauna Kea. They were made with an old Canon camera I got from a garage sale. I just leave it out at nights with the shutter open and see what happens. Sometimes it works! Please do not reproduce these images commecially without my permission. Gemini, the UH88 inch and UKIRT all looking in the same direction. A car has driven up outide the 88 inch and its headlights appear as an orange streak. The same view on the same night but this time someone has driven a car with orange flashing lights on along the road!. 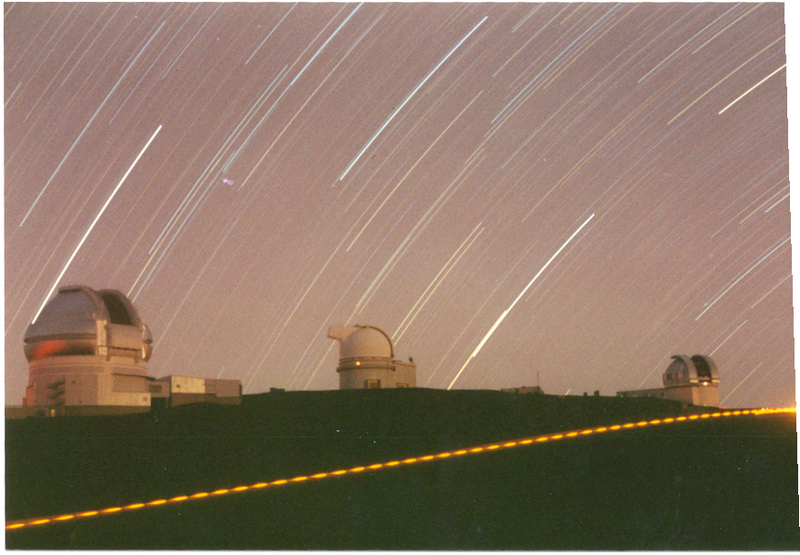 Star Trails behind the Subaru Telescope. Note the meteor streak to the left. Photo: John Davies. 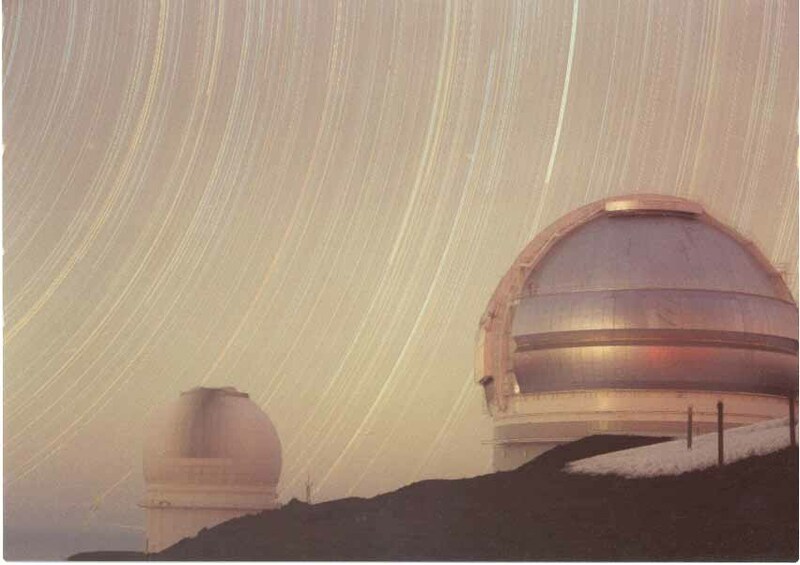 Subaru Telescope and Keck. The Keck dome has moved during the exposure Photo: John Davies. 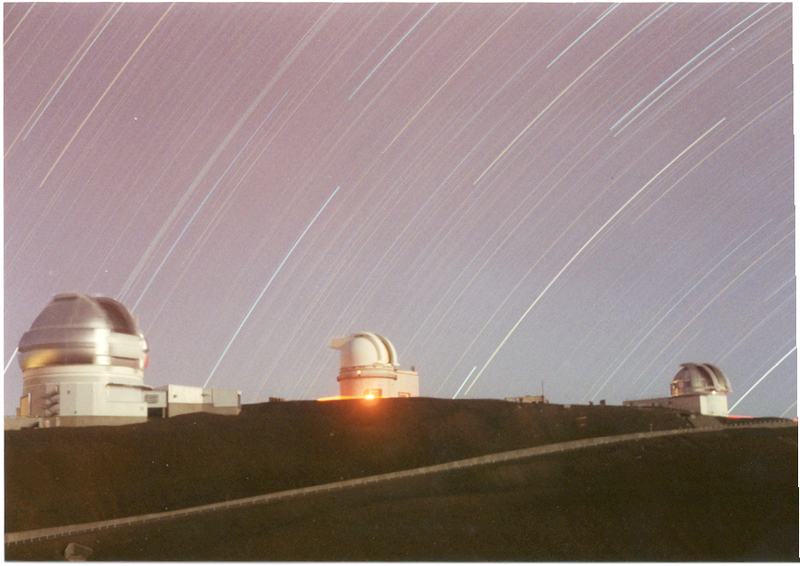 Star Trails appear to pass through the part completed Gemini North Telescope and behind the CFHT. Note the lights of an aeroplane which flew behind the CFHT during the exposure. Photo: John Davies. Pictures of Mauna Kea in Snow? , or jump to La Silla?